Looks like Whatsapp developers have seen the wolf ears to read our article on LINE , and have posted a few minutes ago the long-awaited update for users Whatsapp owners of an iPhone 5. 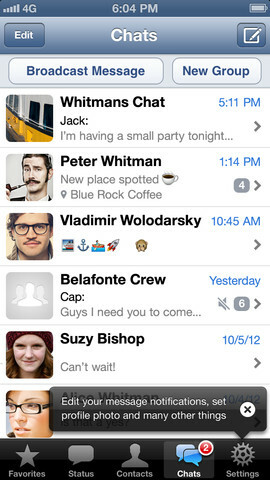 Thus, finally Whatsapp fits the screen 4 "iPhone 5. Go to the App Store to update and fail to go wrong when writing messages .